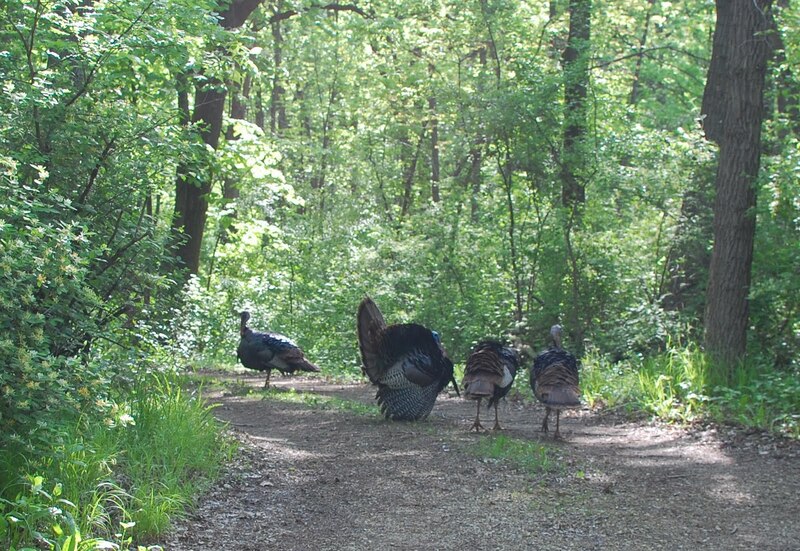 These delicious wild turkey toms were roaming about Lower Grey Cloud Island this weekend. 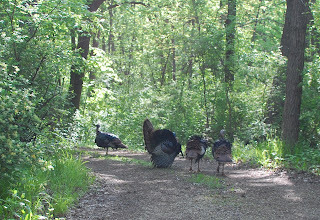 When I arrived, they ambled away with a flurry of "gobble gobble" calls. A slender lady-turkey was nearby, watching the strutting and listening to the gobbling. That's my driveway. Stay away!